Trance fans were rejoiced last summer when Insomniac Events, the promotional company behind such major festivals as EDC and Nocturnal Wonderland, announced their flagship American festival dedicated to the uplifting dance genre with Dreamstate. Now, details for Dreamstate SoCal 2016 have begun to surface, and the two day festival is shaping up to top last year’s event. Following the announcement of a New York City based edition of Dreamstate, Insomniac has revealed that the festival’s SoCal event will once again be held at the NOS Events Center in San Bernardino, and is scheduled for November 25 and 26. While last year’s event only featured one stage, the 2016 iteration of the Trance festival will feature a total of three stages. 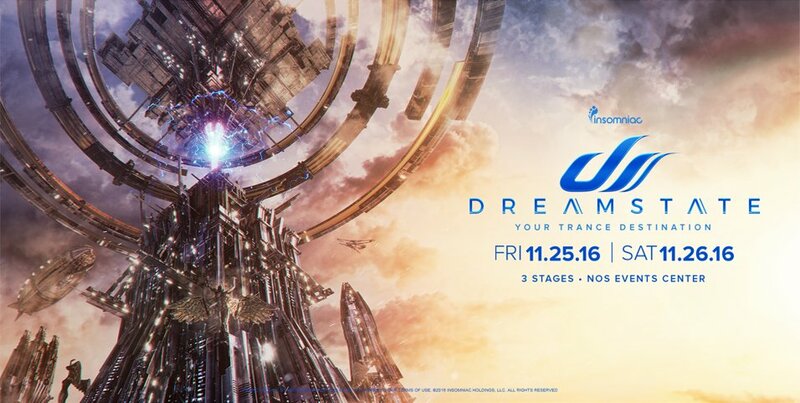 Tickets for Dreamstate 2016 will go on sale Wednesday July 27 at 12pm PST, and can be purchased here once they become available. There’s no word yet on the lineup, but we have no doubt that it will be packed with the biggest and best of Trance.